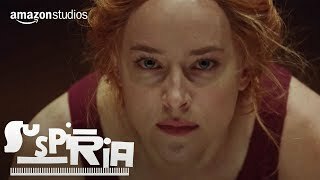 Suspiria release date was Friday, October 26, 2018. This was a Nationwide in theaters release. An ambitious and bright American student arrives abroad to study at a world-famous school. She begins to suspect that the academy may be a front for a more menacing organization when the once-quiet campus is rocked by a brutal murder and several other cruel and strange homicides. Remake 1977 Italian film by Dario Argento.